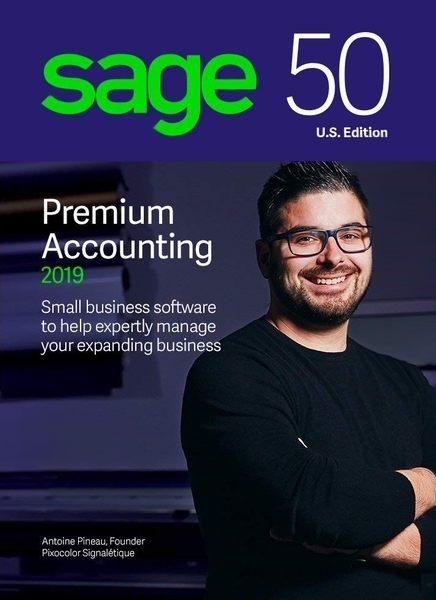 Download Sage 50 Premium Accounting 2019 Now! FREE! 1 hour free training in Sage 50 Intelligence Reporting is included with every purchase of Sage 50 Premium Accounting from Computerized Business Associates. A Certified Sage Intelligence Consultant from CBA will teach you to create your own reports, customized to your specific business needs, using this expert Business Intelligence reporting tool. Sage 50 Premium Accounting enables you to save time and money by making simple tasks more productive and efficient. It gives you the tools and information you need to make successful business decisions. Sage 50 Premium gives you insights that other accounting programs don't. One-look overview: You can personalize views of key business metrics so you always know how your business is doing. See revenue, account balances, outstanding receivables, and more, all on one screen. You'll know everything you need to know at a single glance. Generate more money: The tools included in Sage 50 Premium Accounting let you be more profitable. With extensive control over your inventory, job phases and their costs, purchasing and invoicing, and more, you can identify what works and what doesn't. Better insights for better decisions: Using your company's real-time data and the familiar platform, Microsoft Excel, the Sage 50 Intelligence Reporting feature lets you make fast, informed business decisions with confidence. 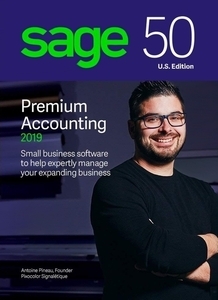 This user-friendly business accounting software, Sage 50 Premium Accounting includes module-level security for up to 5 users. Advanced user security controls, an Internal Accounting Review tool, and tracking audit trails, give you confidence in the security and integrity of your data. You'll always have control over who can access your information, because it's installed locally on your computer or network. Got inventory? Sage 50's Premium Accounting has you covered. Multiple inventory modules let you manage every aspect of inventory control, including assemblies and assembly costs, purchasing, and stock on hand. Always know what you have on hand, and never over order again. Setup user-defined inventory attributes like color, size, style, etc. Simple one-click chat gets you support when you need it. Generate invoices with a single click from your customers' records. Generate purchase orders with a single click on your vendors' screens. Go directly from a purchase order to receiving the inventory and paying. Customize the content of Sage 50 generated emails. Convert a sales order to an invoice in a flash. As long as your Sage Business Care subscription3 is current, you'll get free automatic software updates and improvements to your Sage 50 software. With Sage 50 Intelligence Reporting at your fingertips, you can harness your data efficiently and effectively. You'll get insights into your business for better decision making. Payroll solutions are available as an integrated add-on. Calculate employee deductions, stay current with tax laws, print paychecks, generate W-2's, and everything else you need to keep up with your payroll responsibilities. These benefits and more are included with your auto-renewing Sage Business Care plan that comes with your Sage 50 software purchase! 1 Valid credit card required to activate service. To ensure continuous service, your Sage Business Care plan is an automatically renewing plan, and subsequent years will be automatically billed to the same credit card each year on the anniversary date of your purchase at the then-current rate after notifying you 30 days in advance of your anniversary date. The credit card provided with this purchase will be used to automatically renew the plan if there is no other credit card number already established as your standard credit card number on file with Sage. You may terminate the plan with at least seven calendar days� notice prior to your renewal date and not be charged for the renewal. 2 Customer support analysts are available from 9 a.m. until 8 p.m. ET Monday-Friday, and reserve the right to limit calls to one hour or one incident. Assistance is limited to Sage 50 solutions. 3 Valid credit card and internet access required. Payments will automatically be charged each month until your subscription is canceled. Cancellation requires a seven-day notice prior to your monthly payment date. You must be on the most current version of the software to continue your subscription. If you cancel your subscription or your monthly payment is not received, you will have read-only access to your data. Full program functionality will not be restored until you have brought your account current, including payment of a reactivation fee.